There are many different types of alimony that may be awarded in a divorce in New Jersey. 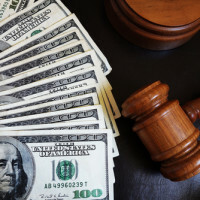 In the past when a family court judge was asked to award alimony, the judge would first make an initial determination whether an award of Permanent alimony was warranted. If not, then the judge would move on to consider other temporary types of alimony, such as Limited Duration, Rehabilitation or Reimbursement. That process changed last year, when the legislature passed Assembly Bill 845. This new law, passed by the legislature on July 30th and signed into law by the Governor on September 10th, significantly changed the ability of the family court judge to order alimony on a permanent basis. Under the terms of the new law, what was once called Permanent Alimony is now referred to as Open Durational Alimony. This type of alimony is now limited to the length of the marriage if the marriage lasted less than 20 years (e.g. if the marriage lasted seven years, a “permanent” alimony award can only last seven years). In addition to limiting the length of an alimony award, the new law also provides that alimony can be terminated when the payor reaches full retirement age and retires. Alimony can also be terminated or modified if the payor becomes unemployed for a period of 90 days or more, assuming of course that the unemployment is involuntary. Besides the cases of retirement and unemployment, alimony can also be modified or ended based on other changed circumstances, such as an increase or decrease in the income of either the paying or receiving party, or if the party receiving alimony starts living with another person. In any divorce, there are over a dozen factors for the judge to consider in determining whether to make an award of alimony, which type of alimony to award, how much to award and for how long. Although the judge is required to consider a number of statutory factors, the judge actually has a lot of discretion in making the final decision. Strong, knowledgeable and effective legal representation is essential to persuading the judge which way to rule on an alimony matter. If you are seeking or challenging a post-divorce change in alimony or other modification in New Jersey family court, contact the Law Offices of John B. D’Alessandro in Union to speak with an attorney.